DESIGNER 110 MODEL in Crown Asia’s Citta Italia is a 2-storey premium Single Firewall house and lot for sale in Molino Bacoor Cavite. Designer 110 Model has a house floor area of 110 square meters built on a minimum lot area of 143 square meter. 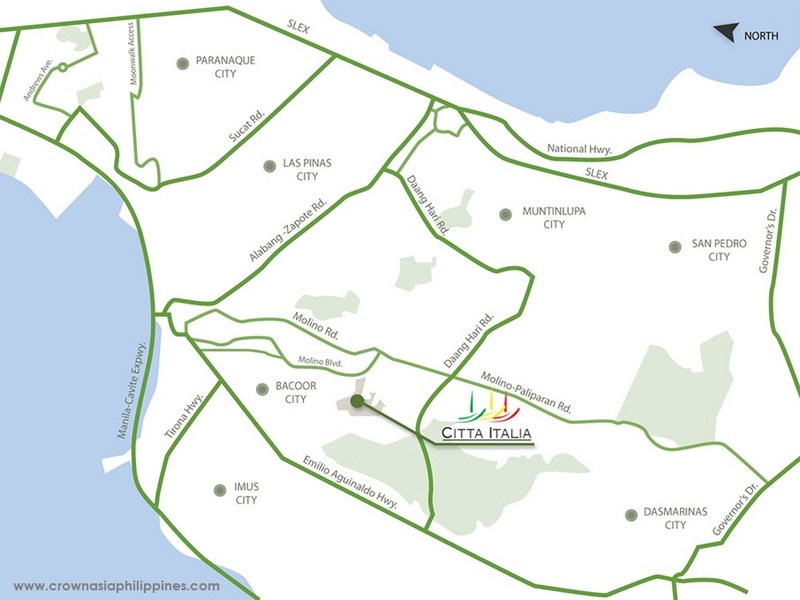 Designer 110 in Citta Italia has provision for maximum Five (5) Bedrooms, Three (3) Toilets & Bath, living room, dining area, kitchen, and provision for One (1) Carport. DESIGNER 110 MODEL does not include interior wall partitions. 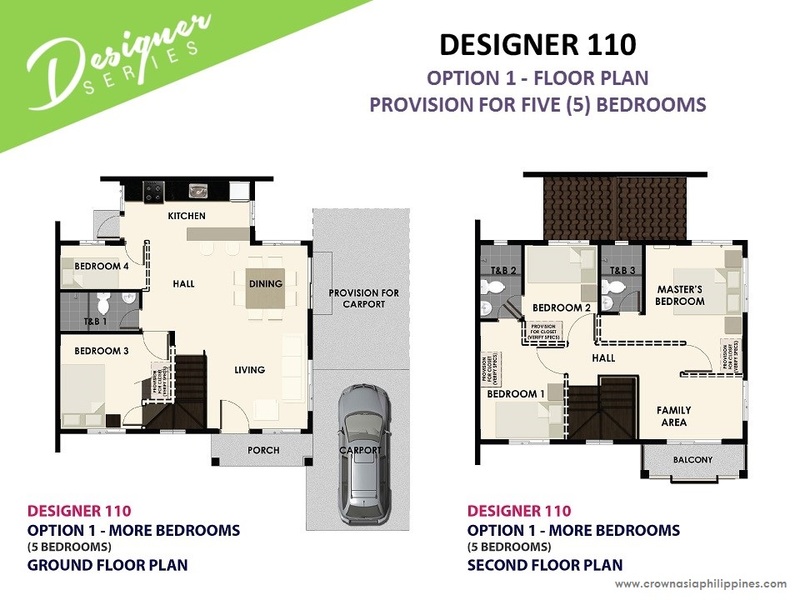 DESIGNER 110 MODEL also doesn’t include floor tiles upon turnover and no balcony upon turnover (except for Designer 142, Designer 166 and Designer 211 models which have balcony upon turnover). DESIGNER 110 MODEL in Citta Italia is a BASIC FINISH house model. The above photo of the dressed up house is the same exterior turnover and finishes for Designer 110 in Citta Italia. Landscape is not included on the turnover.